Department of Botany, D.J. Sind Govt. Science College, Karachi. Annual or perennial herbs or undershrubs, rarely trees, often xerophytic. Leaves opposite, rarely alternate, 2-foliolate or pinnate compound or multifid, rarely 3-7-foliolate or simple, often fleshy or coriaceous, petiolate to subsessile; stipules persistent, coriaceous or spiny; leaflets 1-many, entire, eglandular, petiolulate to subsessile. Flowers solitary, axillary or subaxillary, or in cymes, rarely in spicate racemes, ebracteate, bisexual, rarely unisexual, actinomorphic or zygomorphic, hypogynous; disc convex or depressed, rarely annular or absent, often eglandular. Sepals 5, rarely 4, free or rarely basally connate, imbricate. Petals 5, rarely (3-) 4 or absent, free, rarely basally united, often clawed, inserted on disc, imbricate or contorted, rarely valvate. Stamens 5-15, in 1-3 whorls of 5 each, rarely (3-) 4, inserted on or at the base of disc, outer whorl of antipetalous stamens often connate with the claw, usually unequal in length, free, subulate or filiform filaments with or without scales inside at the base; anthers introrse, dithecous, longitudinally dehiscent. Carpels (2-3-) 4-5, syncarpous; ovary superior, usually sulcate or winged, sessile or rarely stipitate, usually 4-5-locular, rarely less or more loculed, locules rarely transversely locellate, placentation axile, ovules 2 or more, rarely 1 on each placenta, anatropous, pendulous or ascending; style simple, terminal, angular or furrowed, rarely styles 4-5 and free, stigma simple, capitate or obscurely lobed, rarely sessile or discoid. Fruit usually a loculicidal or septicidal capsule, rarely stony drupe, baccate or schizocarpic. 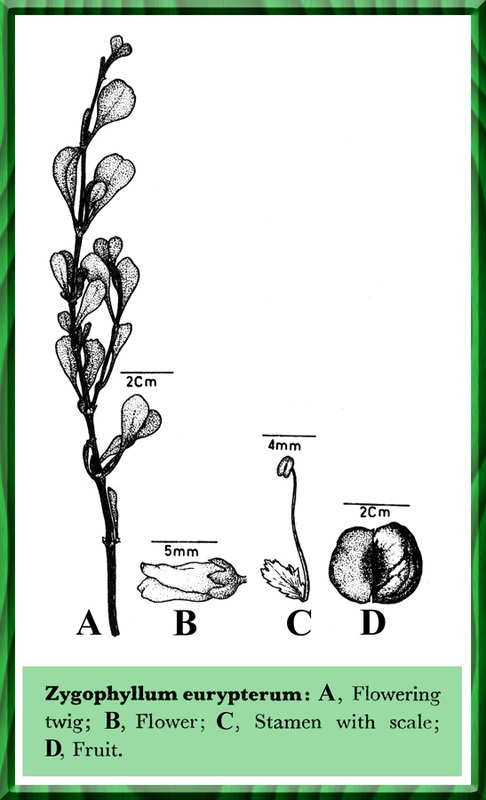 Seeds 1-many per locule, albuminous or exalbuminous, embryo straight or very slightly curved. A family of 25 genera and about 240 species; tropical subtropical and warm temperate in distribution. Represented in Pakistan by 8 genera and 22 species. Acknowledgements: We are grateful to the United states Department of Agriculture for financing this research under P.L. 480. Thanks are also due to Messrs B.L. Burtt, Mr. Ian C. Hedge and Miss Jennifer Lamond of Royle Botanic Garden, Edinburgh, for their Helpful suggestions. Anatropa Ehrenbg. = Tetradiclis Stev. Seezenia Nees = Seetzenia R.Br.